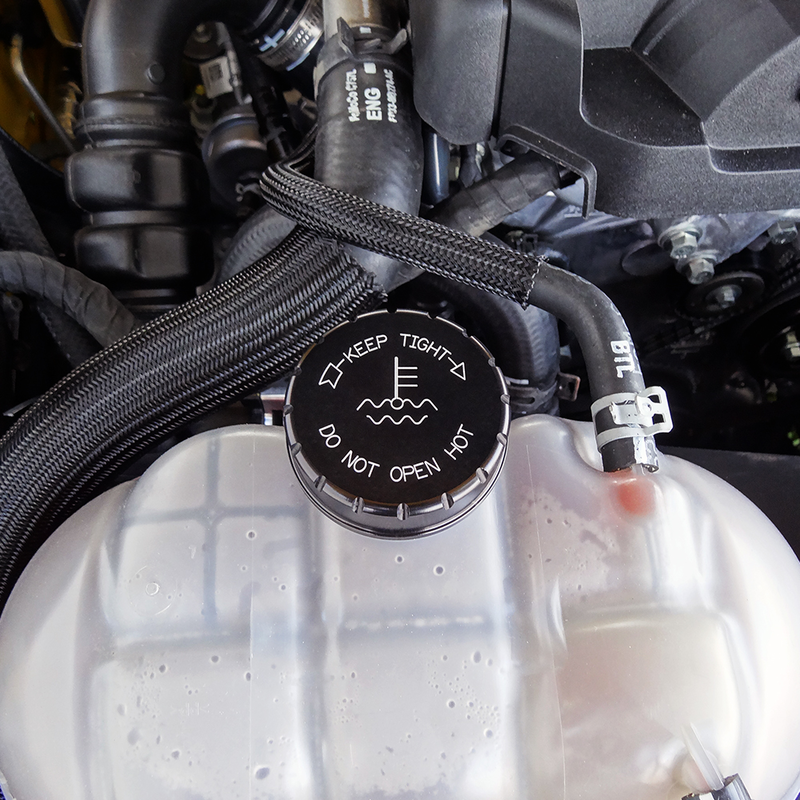 Customize the look under the hood of your 2015 Ford Mustang Ecoboost, V6 or GT with this hot new Radiator Cap cover from UPR. Made from 6061 Billet Aluminum for a great fit over your factory cap and a factory style engraving. This new style cap matches other underhood offerings that can be bought individually or in packages for a clean consistent look under your hood. 2015 GT Ecoboost V6 5.0L Coyote S550 Mustang Steeda Roush & Saleen Vehicles. No one else can stack up to the bold clean styling of our aftermarket Billet dress ups, Street Strip & Racing Suspension & Performance Parts for your late model American Muscle Car!